Why to choose inflatable kayak from BoatsToGo.com? HomeBoatsToGo - Blog About Inflatable Boats, Inflatable Rafts, Inflatable Kayaks And More...Why to choose inflatable kayak from BoatsToGo.com? Look, I know what you are thinking. How can any type of inflatable boat be a boater's dream? I thought the same thing only a year ago, but it was just a feeling I had without ever even setting foot in an inflatable boat. And once I did, I realized just how wrong I was to ever think something like that. See, I love to go out on the water, especially in kayaks. But I never owned one because of a few factors like cost, the ability to transport it to places I wanted to go, and not having a real place to store it. So I would always rent kayaks, which meant that I went out less than I thought I would, spent more money on boating than I wanted to, and never had a boat that truly felt like mine. That was until I started talking to a co-worker about it at an office party, and he suggested I consider buying an inflatable boat from BoatsToGo. 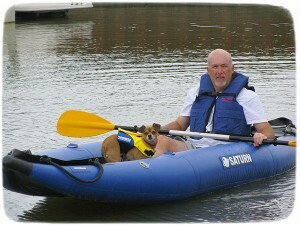 He could tell right away that I was skeptical, so he lent me his inflatable kayak, and my eyes were opened. I know most of you are probably skeptical to, which is why I’m going to tell you about a few of the concerns I had, all of which turned out to be wrong. An inflatable boat will pop when I’m out on the water. This was the first thing that jumped into my head when my co-worker mentioned inflatable boats. I bought my Saturn RK396 13’ Expedition Inflatable Kayak about a year ago, and I haven’t seen any hint of ripping, wear, or puncture. That’s probably because this inflatable boat is made from heavy-duty 1100 Dtex PVC fabric, which is unbelievable strong. Inflatable boats don’t perform well. This couldn’t be further from the truth. First off, the Saturn RK396 is extremely versatile, with an ability to perform at a high level in pretty much any location that doesn’t have rapids. Its light weight allows it to go where most other boats cannot, and it can travel at pretty fast speeds. Simply put, this boat can do it all. It won’t fit in my apartment. The thing about these BoatsToGo inflatable kayaks is that they are so easy to inflate and deflate, you will have no problem doing it between each use. Once deflated, your 13’ boat can be slipped into its carrying bag and tossed into your closet or garage. It also easily fits into the trunk of your car, so you don’t need any kind of trailer. Plus, you can bring it with you on a plane if you want to go exploring on vacation! Boats are all expensive. Does $549 sound expensive? That’s what I paid for my 13’ inflatable kayak from BoatsToGo. Add that to the storage and towing expenses that it saves when compared to a standard kayak, and going with an inflatable boat makes even more sense. The RK396 also comes with a free air pump, two free removable thwarts, two aluminum paddles, a handy carrying bag, and a repair kit. As I said before, inflatable kayaks are truly a boater’s dream. Do you believe me now?